Can't decide whether or not you should get this 2017 "It" style? Here's why it's time to retire your go-to hair look and experiment more! 1. You want to try something new. If you feel like you're stuck in a "life rut," a drastic chop will clear that up right away. 2. You're going through a major life moment. Whether you got that dream job or you and your significant other just reached a milestone, why not celebrate it by changing up your look? 3. 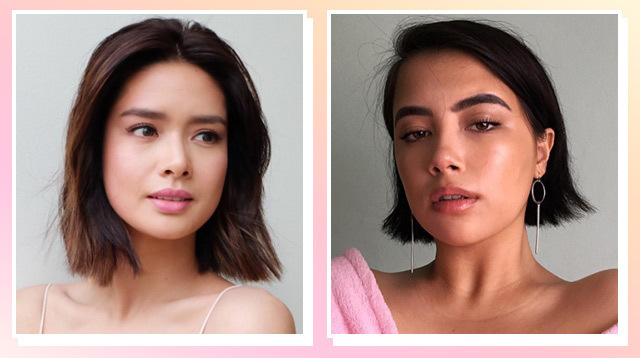 You want to try short hair, but you also want to ease yourself into it. You feel like a pixie is too drastic, but you just need a break from the ever-famous long, beachy waves. 4. You hate taking long showers. 5. You're trying to save on your hair products. Yes, you will be using less of your favorite shampoo, conditioner, and hair treatments. So basically, a bob will help you save moolah in the long run! 6. You're tired of your tresses looking dull and lifeless. Constant heat styling can lead to brittle and flat hair. By getting a cut, you'll be able to get rid of those dry split ends and your locks will look revitalized! 7. You want to appear ~taller~. Since most Pinays are shorter than five feet and four inches, it makes sense why you would want to look longer and leaner. Less hair will draw attention to your neck to make you look more elongated.